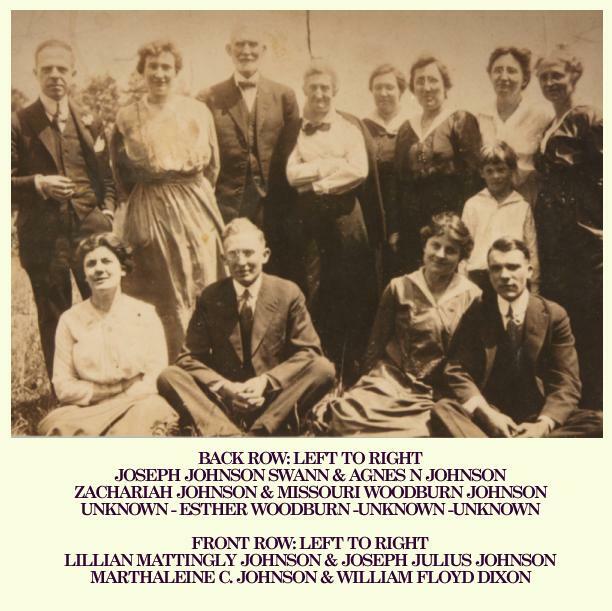 Zachariah Johnson, son of Uriah & Clarissa (Sherkley) Johnson, was born May 12, 1852 and died August 12, 1932. 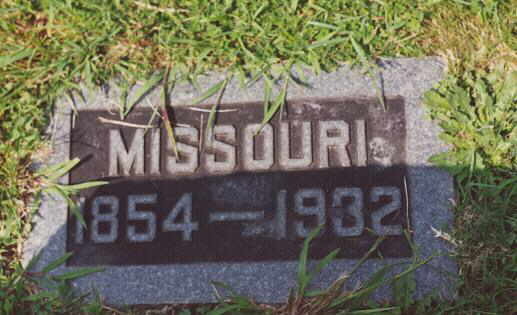 He and Missouri are both buried at St. Joseph RCC. Missouri Woodburn was born October 28, 1853 and died in 1932. She is also buried at the "New" St. Joseph's Cemetery. Zachariah and his wife were farmers. 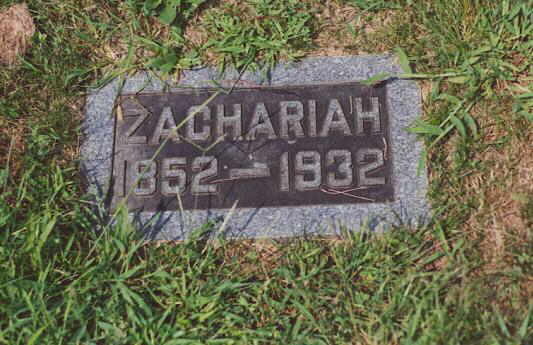 It was said by my uncle Bradley Johnson, Jr., that Zachariah's special love was horses. My uncle also indicates that he had at least three stills on the property that he knew of. 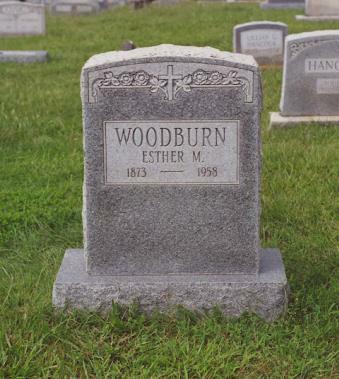 Zachariah left all his personal property to Elizabeth H. "Esther" Woodburn for services for 40 years. 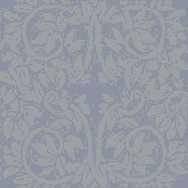 He also left her his farm, known as "Part St. John's" for life and at her death it was to be divided equally among his children. In the family she was known as "Aunt Terry." Her tombstone is pictured at left along with those of Zachariah & Missouri. 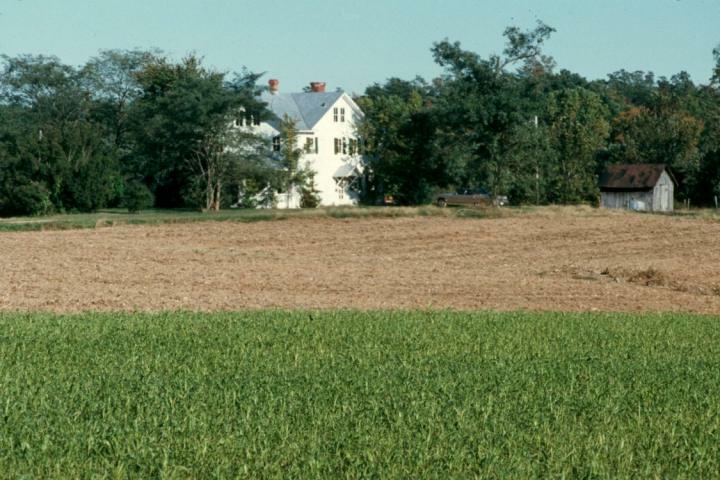 One the left are some pictures of the farm once owned by Zachariah. 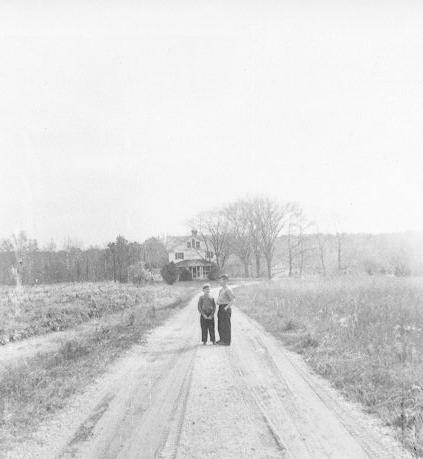 The first is a picture dating back to the 1950's when my brother and I were visting. The second picture shows the farm today. I am not sure if this is "Part St. John's" but Bernard told me that it was in the Johnson family at one time. Apparently it did not remain in the family.